The Wendy Evans Joseph Lecture on Art and Architecture presents the work of an artist whose work is inspired by the built environment. On May 12, artist Ursula von Rydingsvard will present her recent work in this public lecture. Her sculpture is included in numerous permanent collections, including the Metropolitan Museum of Art; Museum of Modern Art; Whitney Museum of American Art; Brooklyn Museum; Walker Art Center, Minneapolis; Nelson-Atkins Museum of Art, Kansas City; High Museum of Art, Atlanta; Detroit Institute of Arts; Museum of Fine Arts, Boston; San Francisco Museum of Modern Art; Crystal Bridges Museum, Bentonville, Arkansas; and National Gallery of Art, Washington D.C. 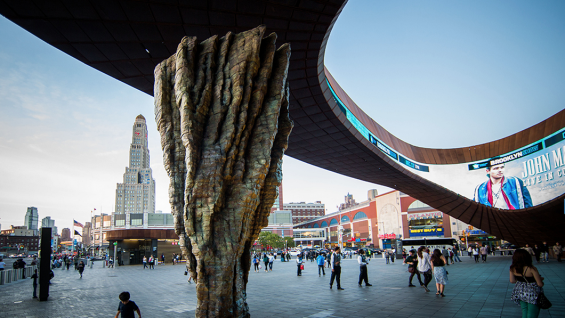 Recent exhibitions include Ursula von Rydingsvard: Sculpture 1991-2009 at Sculpture Center, New York; as well as the installation of Ona, a bronze, outdoor sculpture installed at the Barclays Center, Brooklyn.